We were quite excited to try Blue Apron after several meals from Plated (Pan Roasted Vegetables with Creamy Coconut Curry and Na’an and Berbere salmon with new potatoes and greens). Our work colleague has been bringing in delicious leftovers for lunch from Blue Apron, so it was time to pull the trigger. We had to choose what to make first of the beef chili, tilapia veracruz or the roast chicken with cracked wheat berries. It was just a roast chicken and salsa evening. The salsa was refreshing and the citrus offered the perfect zing. 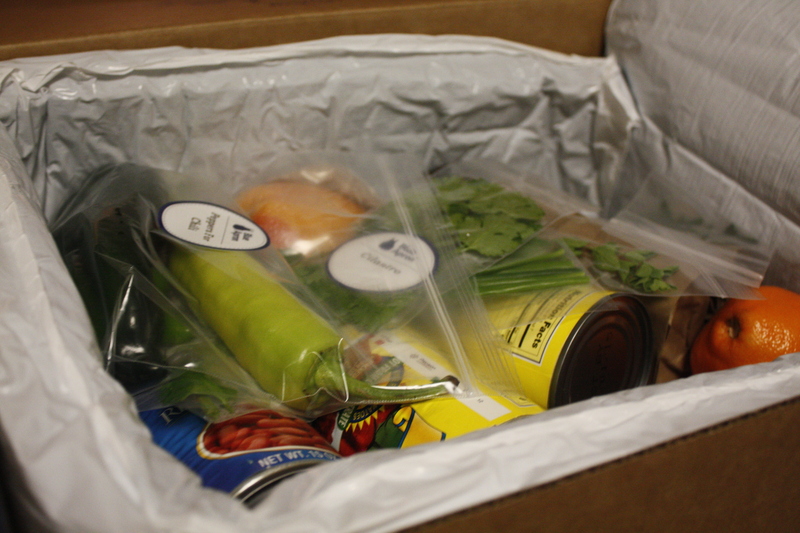 One of our favorite aspects of Blue Apron is the impressive packaging and insulated box. All the ingredients looked fresh and perfectly safe in sound after shipping. The only downside was the quality control. 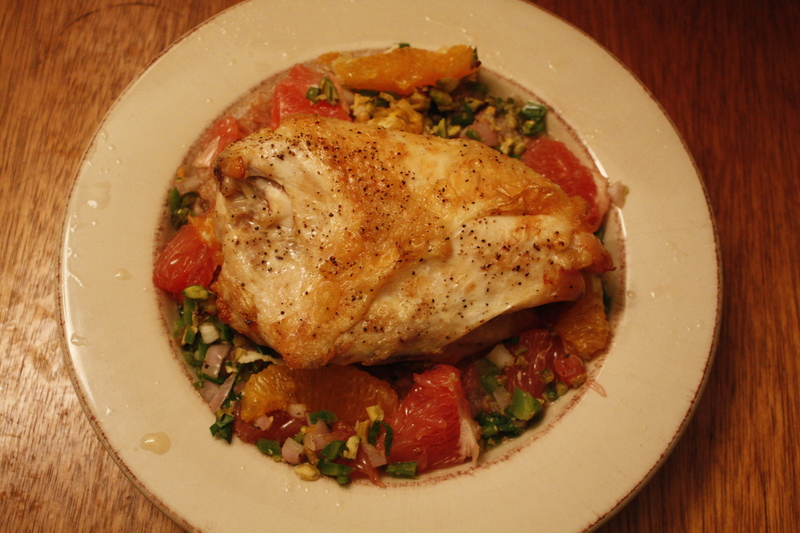 For our roast chicken recipe, it was a little disappointing that we were missing one clementine for the mixed citrus and one missing chicken breast for our second portion! Small snafu that we hope isn’t the case with our other portions and recipes to come. 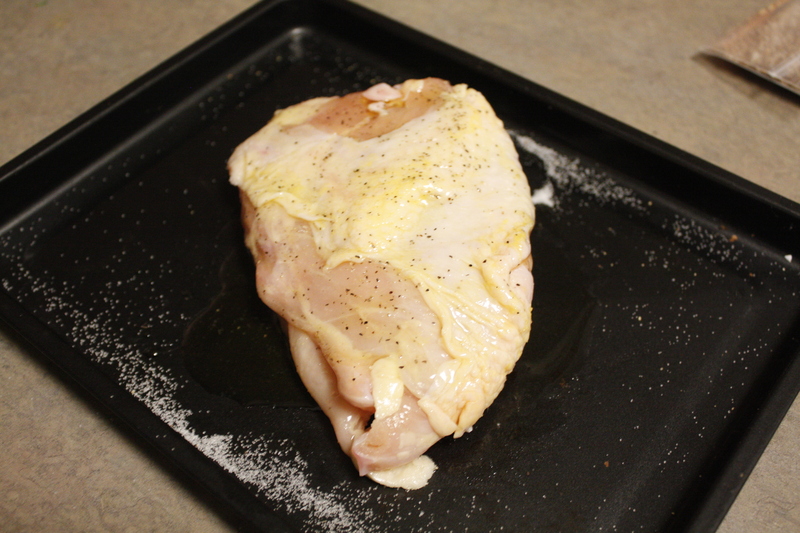 So we roasted the single seasoned bone in chicken breast in the oven until it was perfectly juicy and tender. 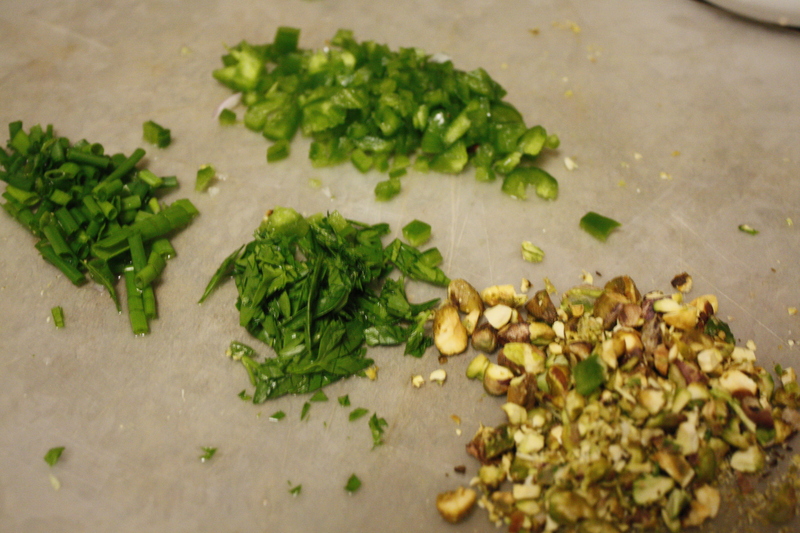 We loved the palate of greens from the chive, parsley, pistachio and jalapenos for the jalapeno herb salsa. 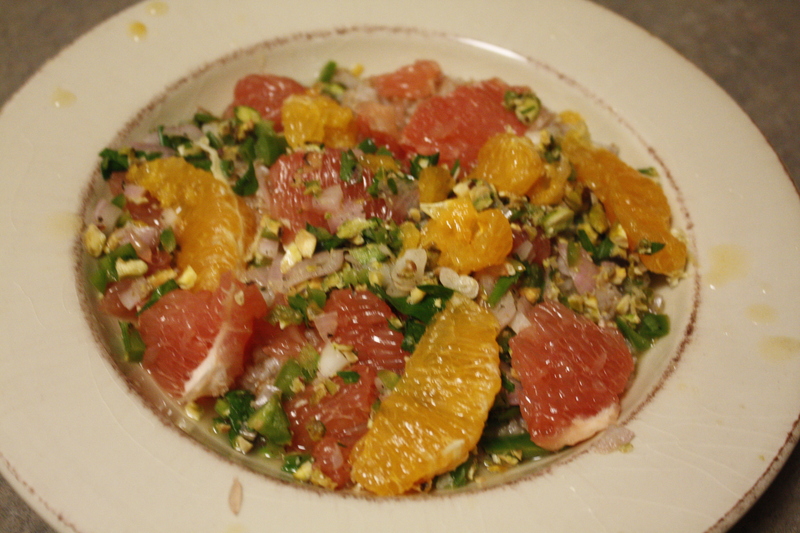 Truly a combination herbs and citrus that we would definitely utilize again most likely in a salad versus with the more oatmeal like cracked wheat berries. We are pretty impressed how colorful and dashing this dish looked. It was very satisfying and had a bit of heat, sweetness, herbacious flavor and familiar and tasty roast chicken. 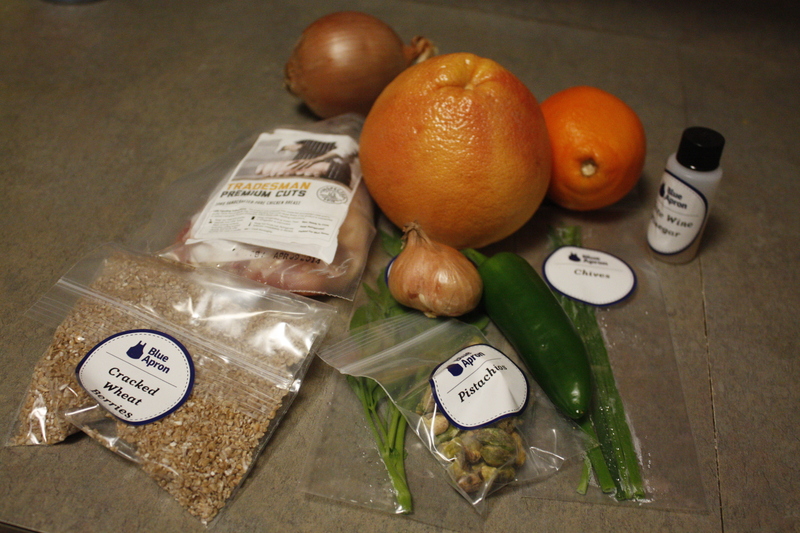 We hope the upcoming meals in the shipment go well and all the ingredients listed are ready for use!